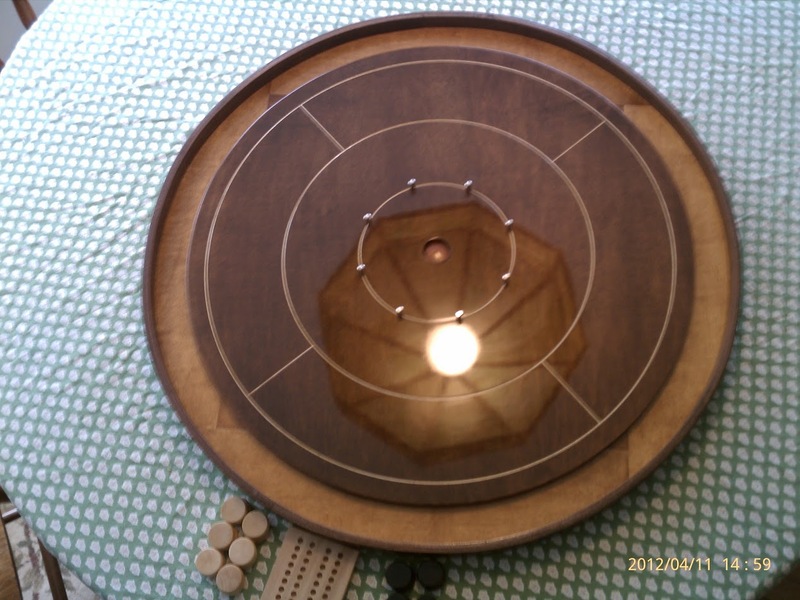 Dave and Norm Lagasse of Sante Fe, New Mexico: ~ Like so many other families of Canadian descent, among our most valued family heirlooms is a "pichenotte" board (shown at left). 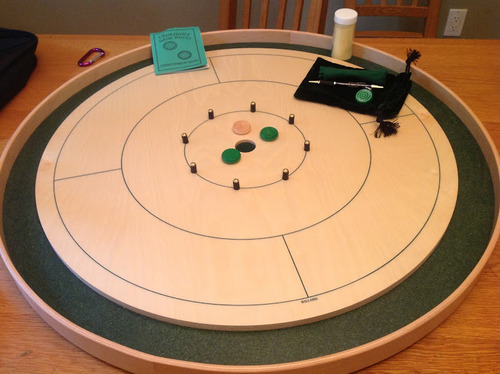 Ours was made by our grandfather, Lucien Rajotte, back in 1926 out of a wooden starch crate (you can still make out the original stenciling on the back of the board). His grocery business in Connecticut was the source of the wood crate. 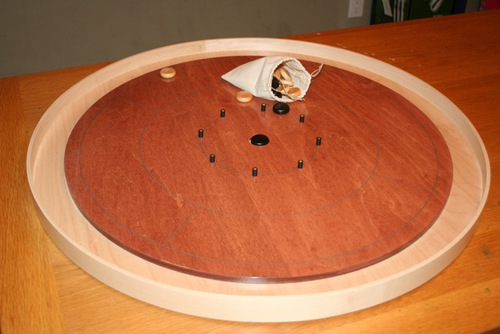 For many family occasions, the pichenotte board was an essential element. 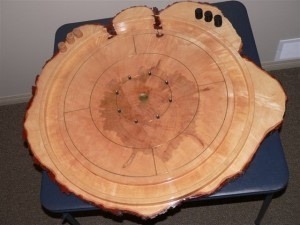 While at 15th World Crokinole Championships in Tavistock, ON. 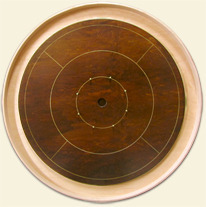 I had occassion to view one of the Lagasse brothers' Pichenotte boards. It certainly is a work of art. 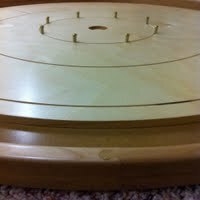 A crokinole board in every way, the posts are quite a fine work with a rubber o-ring around the center. The ditch was covered with a fine felt. It was really quite spectacular. 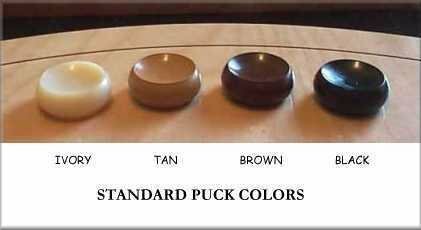 Most foreign, however, were the pucks, which were made of a plastic and cut in such a strange shape that they do not have a solid surface in contact with the board.